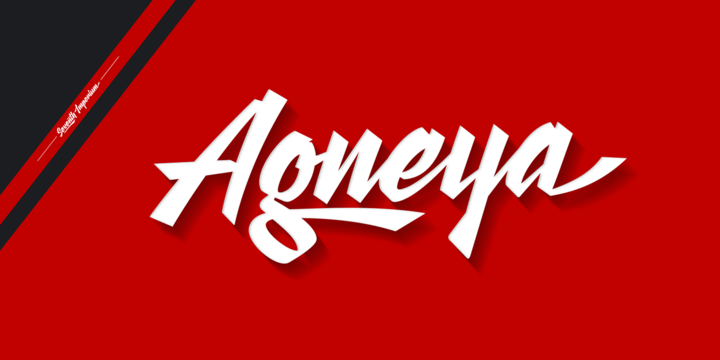 Agneya is a typeface created by Cucu Supriyady and published by Seventh Imperium that has a wide range of OpenType features. Also has Stylistic alternates which you can mix them and let your imagination fly. With more 600 glyph it merge perfectly for sign painting, signage, logo and other original projects. A font description published on Wednesday, October 28th, 2015 in Cucu Supriyadi, Fonts, Seventh Imperium by Alexandra that has 3,126 views.